View Glass provides dynamic glass technology that is energy-efficient and helps reduce glare, thus promoting comfortable and spatially optimized work environments. 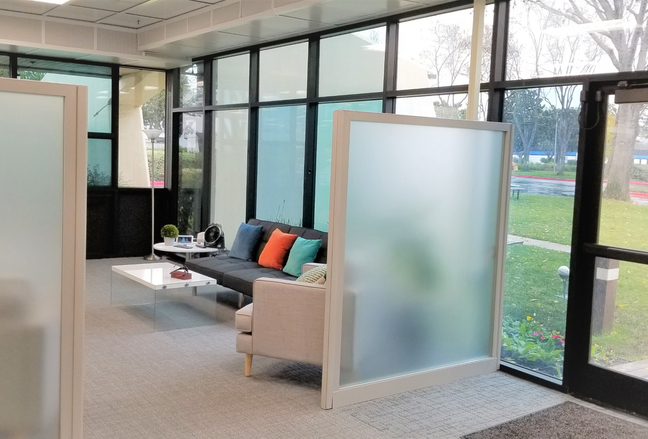 For their office in Milpitas, they were looking to remove the existing fabric panels surrounding the reception area, and replacing them with a modern, frosted glass partition wall. The challenge was to effectively manage the project in terms of dismantling the existing panels and installing the new glass walls. The end result was an attractive lobby space with adequate privacy and seclusion. 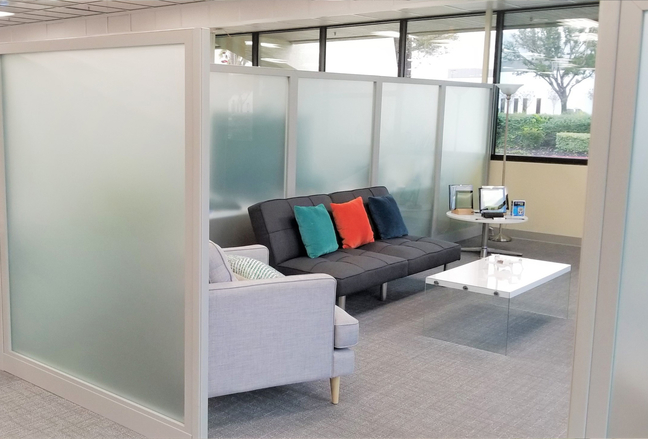 The Concord Glass Wall System from Concord, was an ideal choice for this project since it allows for a minimal number of panel-to-ceiling posts. Moreover, the glass panels are frosted and rise to a height of 6 feet.